Epilepsy alarms trigger an alert to let someone know if you are having a seizure. The epilepsy alert systems we supply are based around two monitoring devices. They are suitable for both domestic and professional care settings. The devices can be supplied with a bedside monitor unit and advanced pager system, or additionally can be monitored 24/7 from our CareLink™ Monitoring Centre in Ireland. Our entry level epilepsy alert monitor is the ‘Ep-IT Companion Monitor’. This device is ideal for use both at home or in a care facility. It can be used to detect seizures that feature a strong presentation such as tonic-clonic seizures, sounds, vomiting or incontinence. Seizures with only shallow movements such as absence seizures and many types of partial seizures are not detected by this device. Where shallow movements need monitored, the ‘Ep-IT Guardian Monitor’ is designed to monitor this type of seizure. It is mainly used by professionals in care facilities due to this additional capability (as a protection from SUDEP or Tonic or Partial type seizures). Whichever monitor is chosen, additional sensors can be added based on personal needs. This can include a sound sensor to detect sharp gasps, clicks or groans. Our enuresis sensor can also be added to the epilepsy alert systems. This is a thin device which is placed on a mattress or pillow. It contains embedded sensors which detect moisture. Another commonly added device is a bed occupancy sensor. 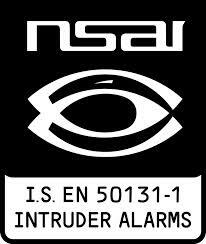 This raises an alarm when someone exits the bed. It can also be programmed to send an alert only if a person does not return to bed within a specified period of time, indicating they may have had a seizure in another room. We have a wide range of monitoring systems for detection of symptoms that may be associated with epileptic seizures. These include location tracking devices that can be used outside the home to call for help or to identify a person’s location. We also supply a number of telecare alarms that can be suitable for some people with epilepsy. For instance pendant alarms may be useful if you get a warning before a seizure and have enough time to activate it. A pendant alarm or pull-cord could also be used to call for help if you have injured yourself during a seizure. l The system can automatically sound an attached buzzer. An onsite carer can then ensure the individual is safe. l The epilepsy sensor can transmit an alert through radio link to a pager. This allows an alert to be sent up to 450meters. l With any of the above options or as an alternative, the system can be used with one of our CareLink™ two-way speech units. This is a telecare base-unit and connects to our 24/7 CareLink™ Monitoring Centre in Ireland. This means trained operators will ensure that help is called for if needed. Please take a moment to view our epliepsy product range in more detail below. For further details on epilepsy alert systems or other safety equipment please contact us directly. The Ep-It Companion Monitor is designed to give support during Tonic/Clonic seizures as well as situations that manifest sounds, vomiting or incontinence. The Companion is ideal for domestic and professional use. The Ep-It Guardian Monitor is the most advanced system for people with epilepsy. The system can monitor bed movement, sound, incontinence, vomiting and exit from a bed. This advanced epilepsy alert system is most often used in a professional care setting.